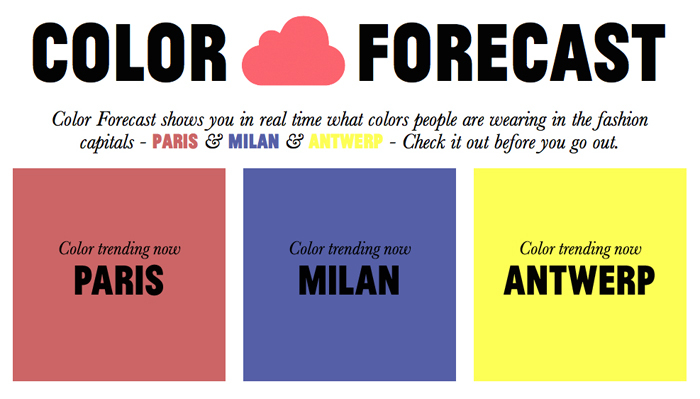 Color Forecast: What Is Trending Right Now In Paris, Milan and Antwerp? Back in the day when I was doing trend forecasting in the corporate world I spent many a day observing people on the streets. We knew from years of research and experience where to find the influencers. The locations of our trends trips were closely guarded because we knew that with keen observation we could get a pretty good idea of what the next big thing was going to be. We wanted to beat our competitors to market. That was back in the day when information was scarce making it a valuable commodity. 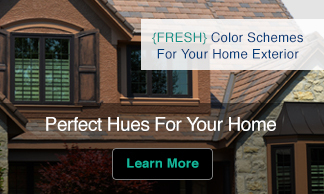 Today, color trend information is everywhere. I really hit the mark when in 2001 I predicted that by 2010 color trend information would be readily available to everyone. Now Pimkie wants to add real-time information into the mix with the help of technology.The Pimkie Color Forecast analyzes webcam footage to provide infographics detailing current fashion trends in Paris, Milan and Antwerp. What do you think? 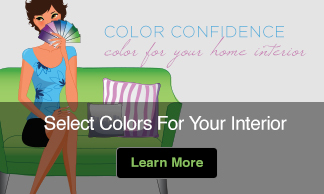 A fun and fashionable way to look at color trends or just a way for Pimkie to engage their consumers around their brand?